Mexican Tile "Anita Terra Cotta"
One of our classic designs in Mexican tiles “Anita Terra Cotta” will make a perfect fit in light decor and farmhouse style. It can be installed as a counter or backsplash in the kitchen, a frame of a mirror, star-riser decoration or even outside, on your garden table or around a fireplace. 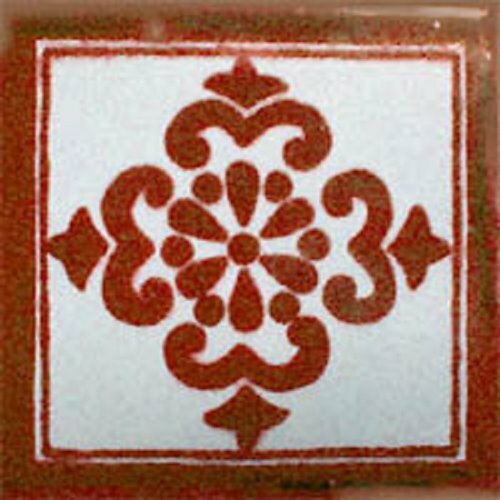 This red patterned over white background tile is such a versatile Mexican tiles element that just fits everywhere.